Returning with more accessorizing goods, Yoon Ahn’s AMBUSH imprint has provided an over-the-top Metallic Crystal Embellished Keyring in a silver-toned metal. 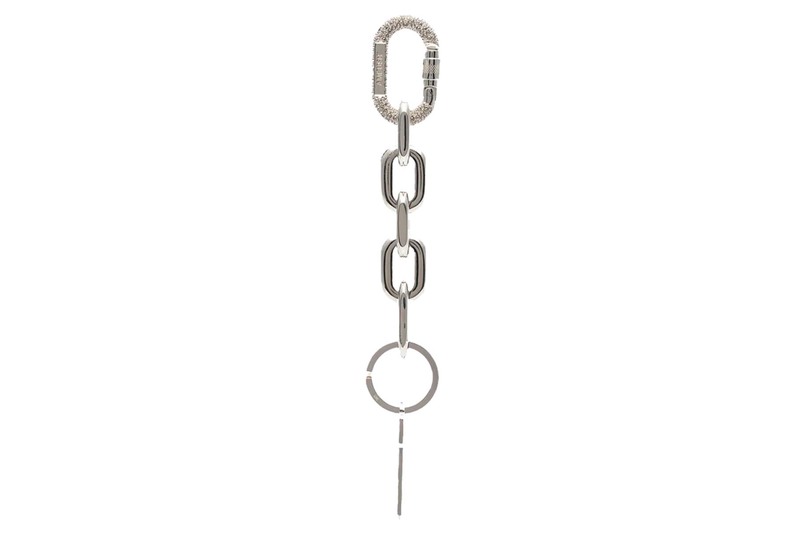 The newly released accessory comes with a blinged-out, crystal-infused carabiner at the top, followed by metal chain links in chrome-like metal down to a keyring, attached to a key embossed with AMBUSH’s signature logo. Finishing up the design of the piece, more branding hits have been applied to the carabiner portion in a similar fashion. Check out the gallery of the piece above, and if you’re interested in picking one up for yourself head over to Browns where it is currently retailing for approximately $2,512 USD. For more fashion news, Cav Empt just released its ninth Spring/Summer 2019 drop. Don’t miss the latest from Sk8thing and Toby Feltwell’s cult imprint. Expanding Jordan Brand’s Flight Utility selection.